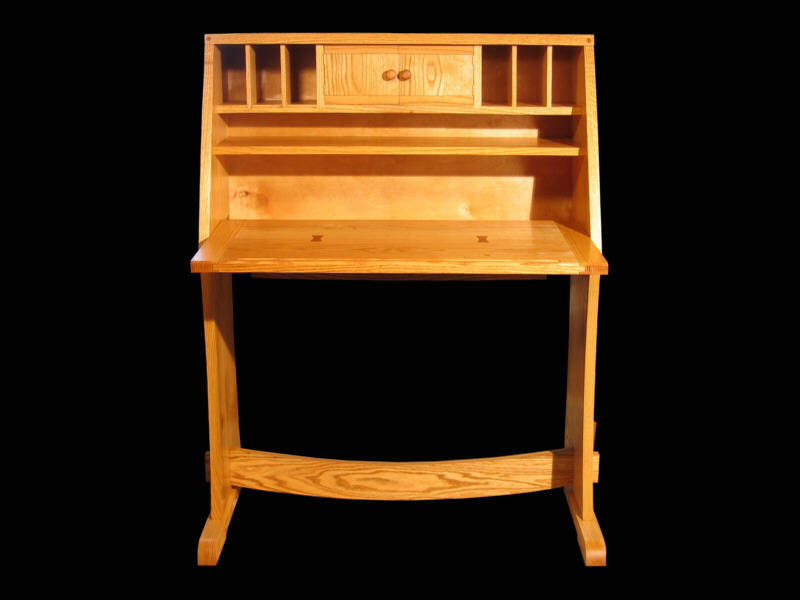 This is a modern Drop Front Desk. 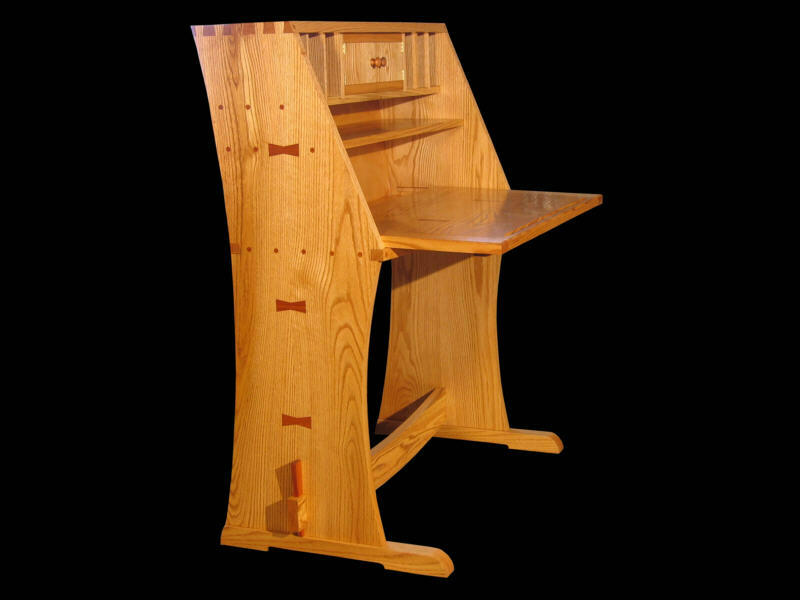 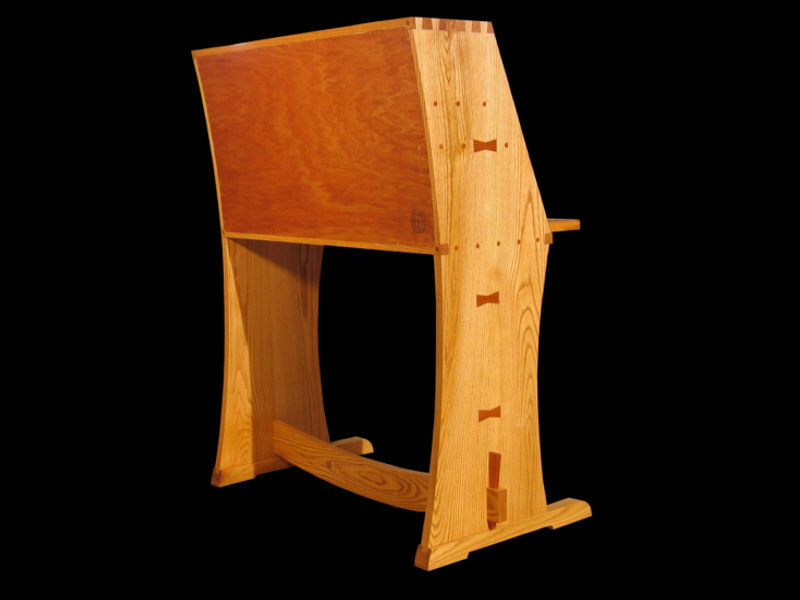 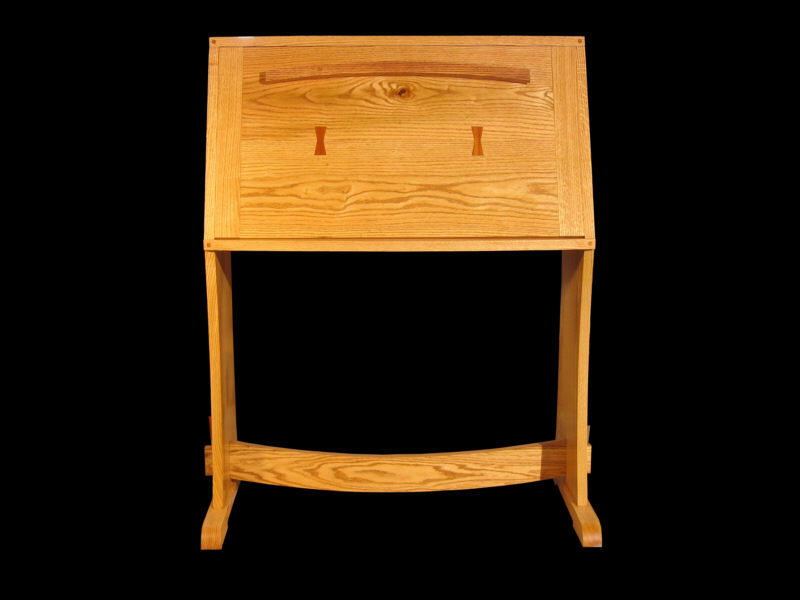 The desk front folds down to become the writing suface which may then be slid in or out to increase or decrease the desk top area. 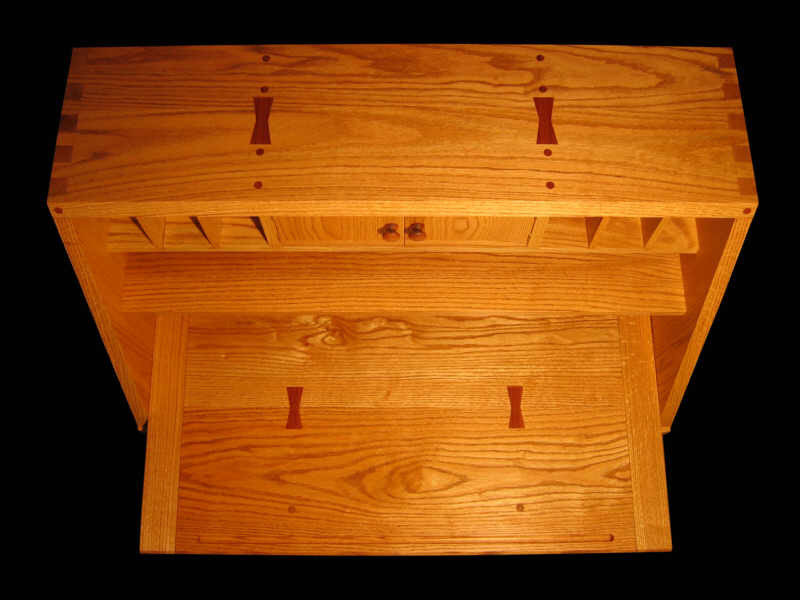 When folded down, the desk front reveals several cubby holes as well as opposing double doors which enclose a small compartment (See Below). 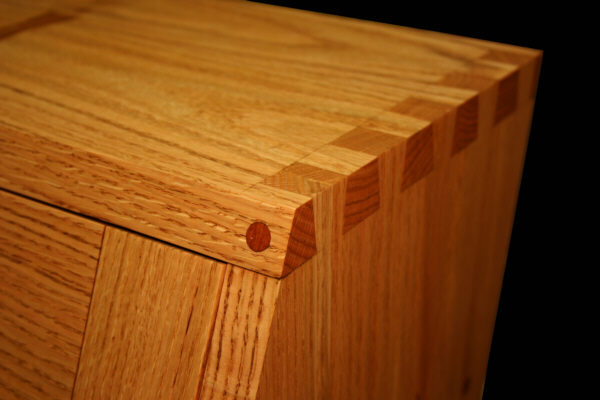 Construction is of solid red oak through out. 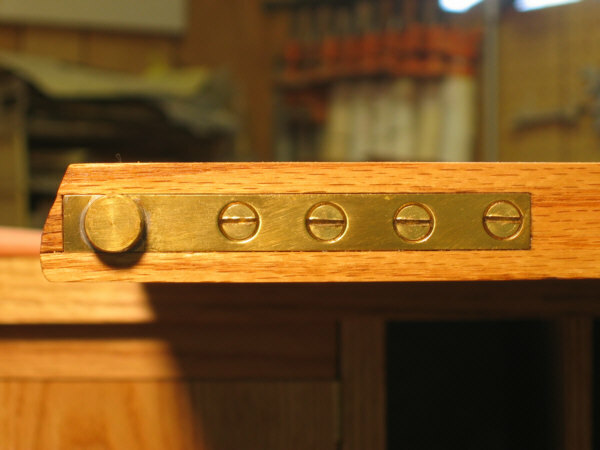 Fold down desk front is attached to the desk and allowed to slide in tracks by special hand made brass hinges (See Below). 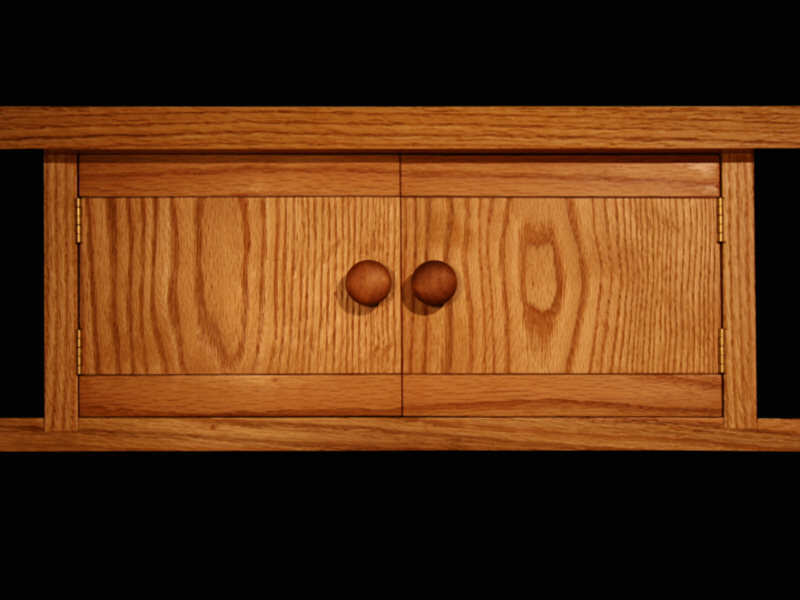 Drawer-Pulls are walnut stained red oak. 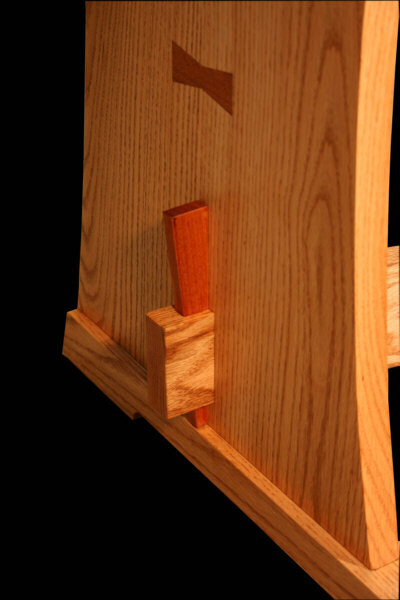 Pegs, butterfly joints and wedges are mahogany. 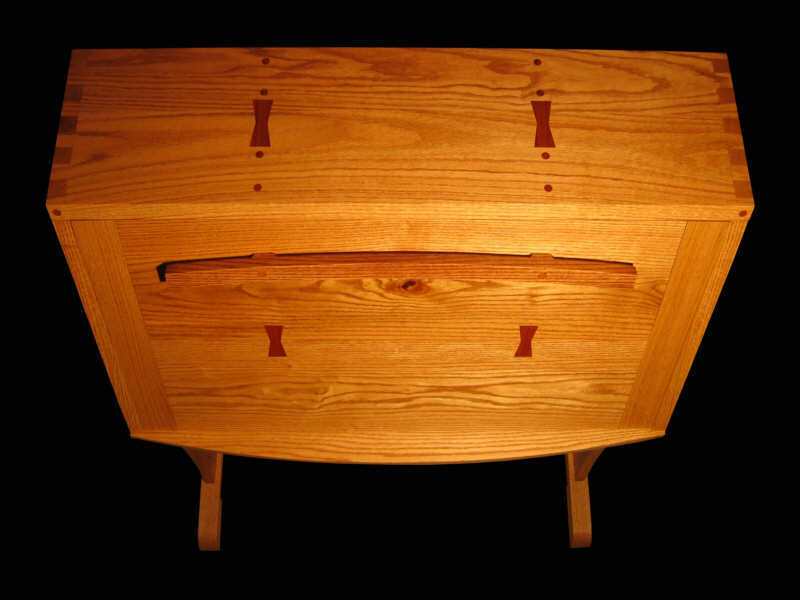 Copyright ©2008 Stan Pike Designs.